BBC Radio 2 will broadcast a two part world exclusive documentary featuring a lengthy interview between Kirsty Young and George Michael, which was his last ever interview. Just before Christmas 2016, Kirsty was asked to interview George for a film he was producing about his life and career. The intention was to use elements of their discussion as part of the soundtrack. The film would become 'George Michael: Freedom', his final work. The interview took place at George's home with Kirsty intending to cover only few specific areas. The conversation ran on for over two hours and subsequently led to a frank and informal discussion about George's life and career. 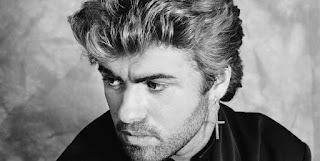 Although it had never been the intention to broadcast their conversation in its entirety, following George's death only a few weeks later, it began to feel like something that should happen. In fact, as they parted, George said to Kirsty: "You should turn this into a radio programme." 'George Michael: The Red Line' is his final interview, told in almost all it's entirety with many of the personal asides left as they were. It will be broadcast for the first time on BBC Radio 2 - split across two 60 minute programmes on Wednesday 1 and Wednesday 8 November at 10pm.